If you’ve ever received a brochure, browsed our collections online or popped into one of our showrooms, you’ll have seen wonderful examples of what we can do. The furniture on display is there to give you inspiration and ideas and the beautiful end-results in our brochure show you how versatile our designs can be. 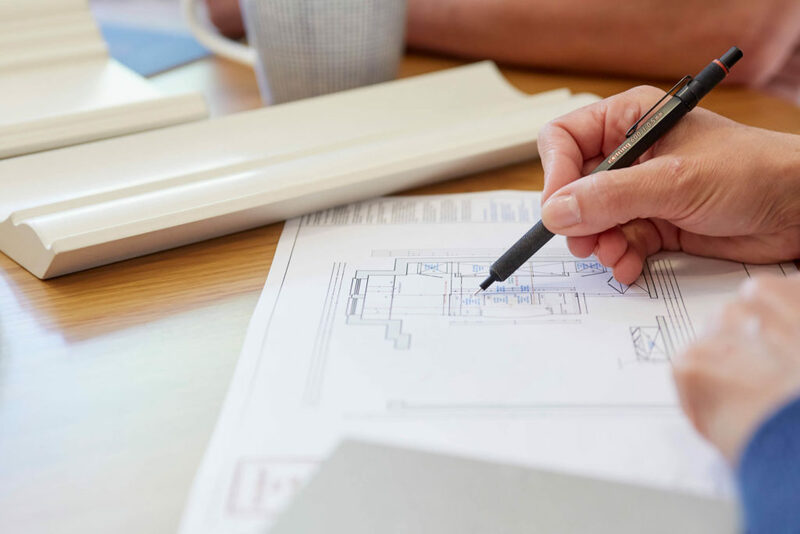 So that you can see first-hand exactly what can be achieved in your own home, we recommend a free, no-obligation design visit from one of our experienced designers. A trained design expert can always help you to see what can be achieved with a little imagination and plenty of skill. 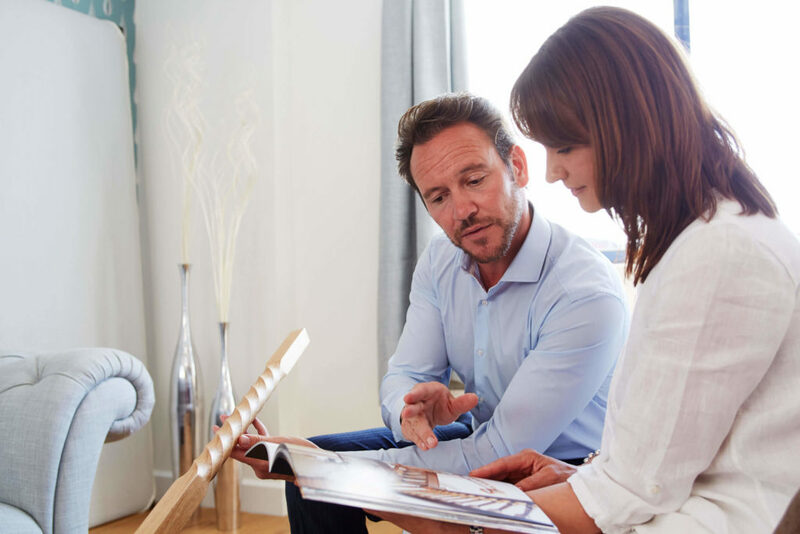 They will sit down with you in your own home and talk to you about your needs and how you want your home to look. If you have a Pinterest board or have been inspired by images in a magazine, now’s a great time to lay them out on the kitchen table or bring them up on your laptop. The purpose of the design visit is to help our designers to understand how you want to use your space. You will also be invited to discuss décor themes, colours, finishes and practical aspects such as storage and how to maximise awkward corners. Keep up to date with the latest trends and be the first to recieve our inspirational tips. Because every piece of furniture we make is bespoke, you’re never restricted to have a particular finish or colour. You can choose from an exquisite selection of luxury materials and finishes. We even have an extensive colour palette perfect for achieving a look that’s personal to you. You can mix and match finishes, choose the handles you want, and we can even create furniture to fit into the trickiest of spaces. 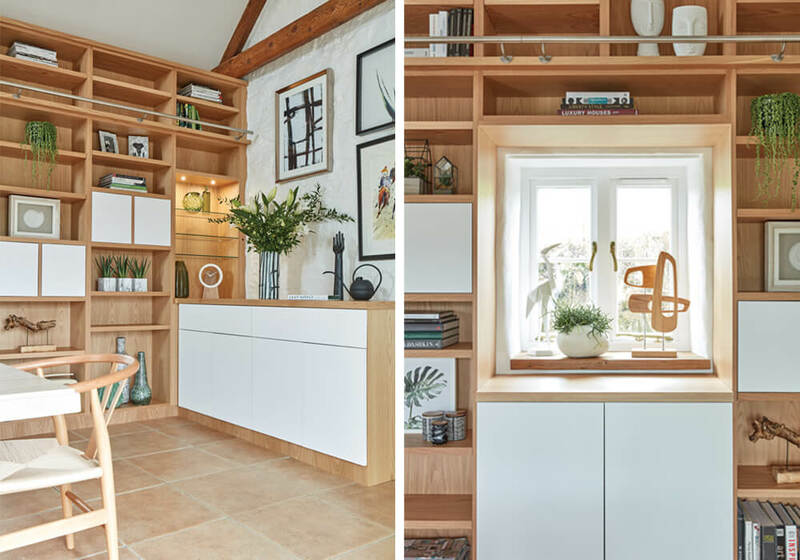 If you think your alcove is too awkward or your ceiling’s too sloping for a fitted solution – think again. Made-to-measure is what we do best, whether it’s a home study, a dressing room or an open plan lounge. Having a design visit at home enables us to evaluate every inch of your space to make sure the design maximises your room’s potential. During the design visit, our designers will talk to you about your plans for the future. 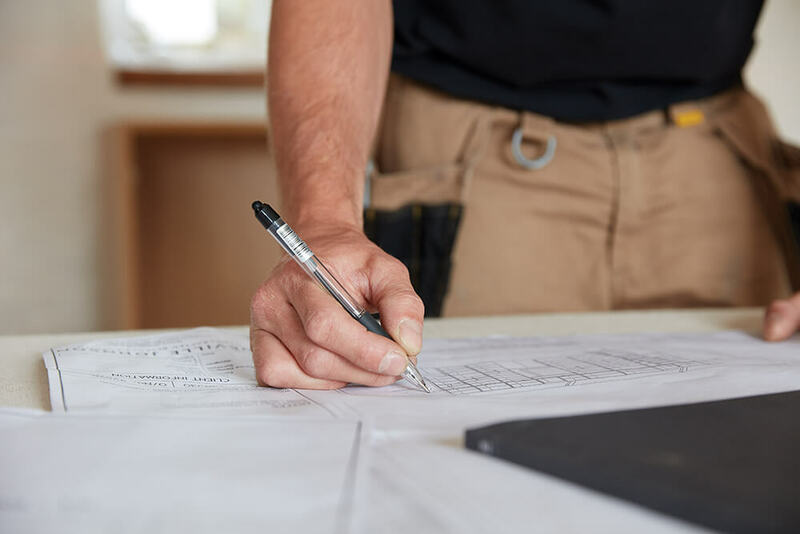 If you have an ongoing renovation project, are considering a re-wire or are planning to extend your room, these factors could impact the design and build. Because the fit of our furniture is millimetre perfect, we’d need to understand whether other work could impact on the end-result at installation. Once you have discussed your initial plans and agreed on a design, our surveyors will carry out a meticulous survey of your room. Their precise measurements will give our craftsmen the exact specification needed to build your furniture. If you’re looking to start your next project why not request our free 2019 brochure or schedule a free design visit today.